The U3 is the largest vertical piano built by Yamaha. An expansive soundboard and acoustic chamber give the 131 cm (52″) U3 extended power and projection, with the peerless tonal and expressive control of the legendary Yamaha action. Refinements in all elements of sound production have given U series a richer , more resonant voice with evenly balanced timbre across the entire keyboard. U Series hammers use materials specifically selected for each model to provide optimum tone production, response and long-term durability. 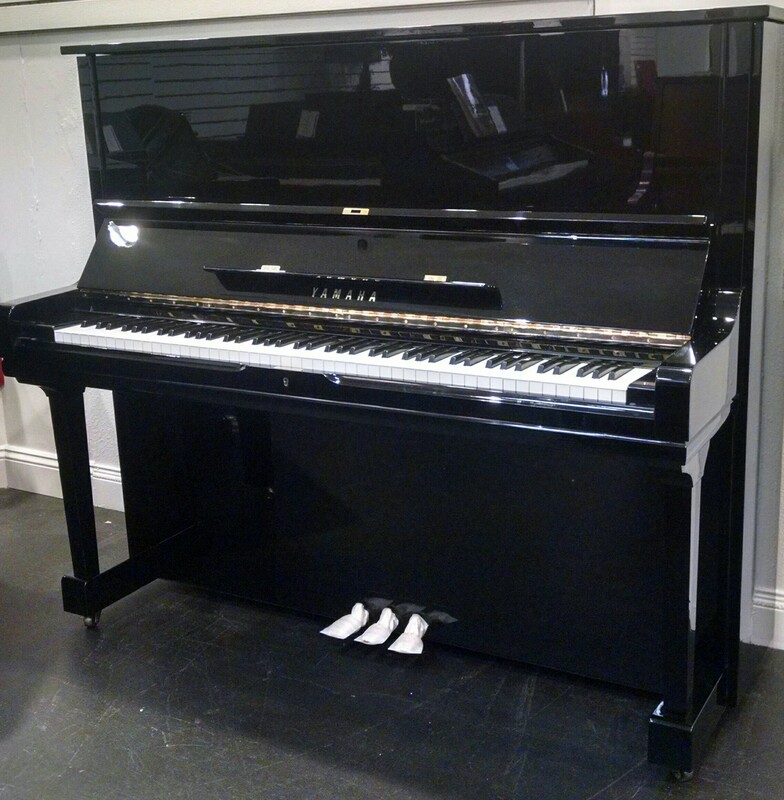 This like-new piano is truly a marvelous instrument to play and experience. Come experience it for yourself. One in-home tuning w/ optional service pkg.